TASS, August 3. Fishery enterprises will present united national booths for the first time at the Seafood Expo during the second Global Fishery Forum in September 2018. Companies from Norway, Iceland, Denmark, Turkey, Iran, Morocco, and Mauritius, among other countries, are expected to display their expositions in this format, marking a three-and-a-half fold increase in the number of foreign organizations represented at the Expo compared with last year. Fishery, fish-breeding, and processing companies, shipbuilding enterprises, manufacturers of equipment and related materials, and traders will make up the main pool of participants at the Expo. They will present the most advanced fish processing equipment as well as shipbuilding components, technologies, and services. Issues related to the promotion of fish and seafood are expected to generate special attention. The Expo will include a tasting programme, while enterprises from different regions will present their fish products, including new brands and stock keeping units. More than 300 companies are expected to take part in the event. In addition, the exhibition area will increase this year and cover an area of 13,000 square metres, a 60% increase from last year. 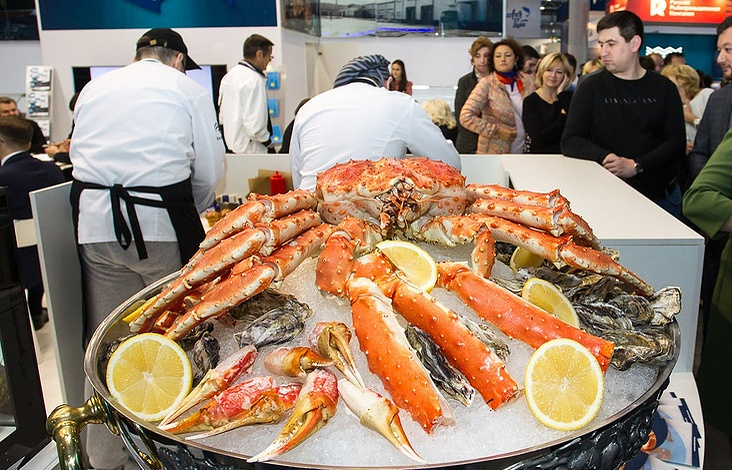 The Global Fishery Forum and Seafood Expo will be held on 13–15 September in St. Petersburg at the ExpoForum Convention and Exhibition Centre. Official website of the Global Fishery Forum: www.fishexpoforum.com.